How much baby food for a six month old ? 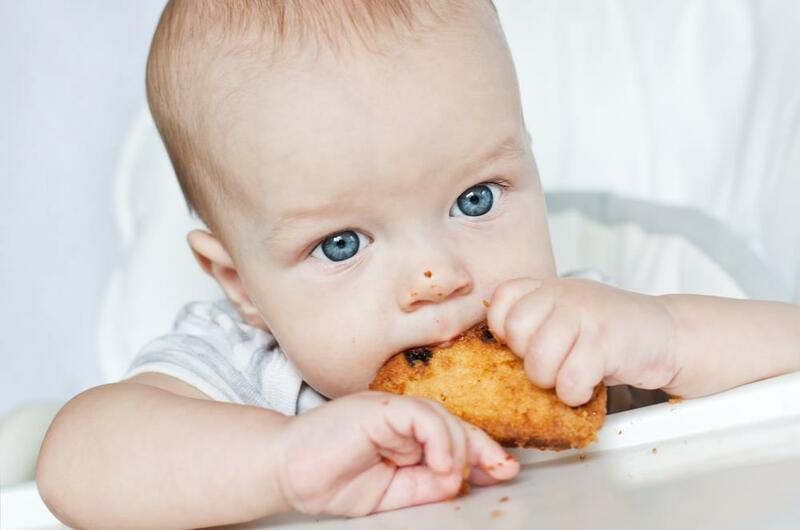 You should realize that a baby has its own appetite just like all of us. You should feed it with just the amount that is required to make its tummy full. But how can you understand the appetite of a baby? The first thing to be considered is whether it is sick or in proper health. Sick babies each lesser than what the healthier ones can. It will also depend on the nature of your baby. Some of them are quite playful in nature while the others are quieter and lack energy. The more energy the baby consumes, more is the requirement for food. This is another important factor to consider. 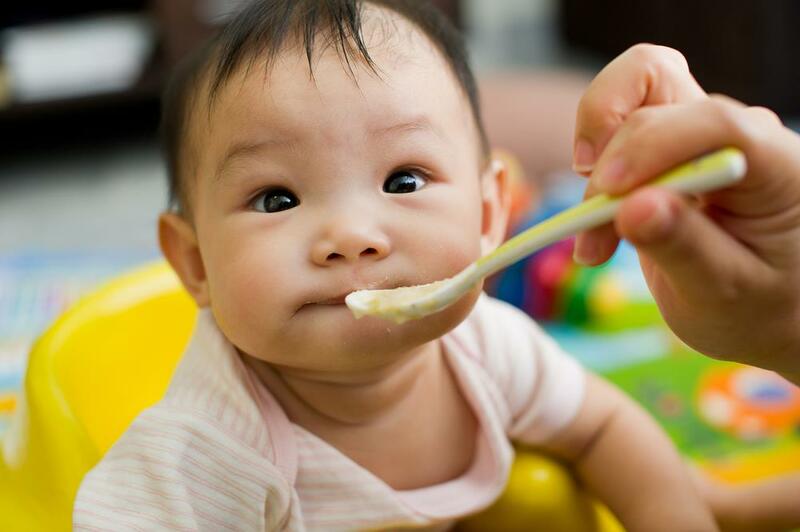 Some babies begin to eat solid food at the age of four months while others start it when they are six months of age. Now, it is quite natural that they will consume solids in lesser amounts if it’s just the beginning for them. Again, if they have already been eating solids for two months, they are likely to eat more. 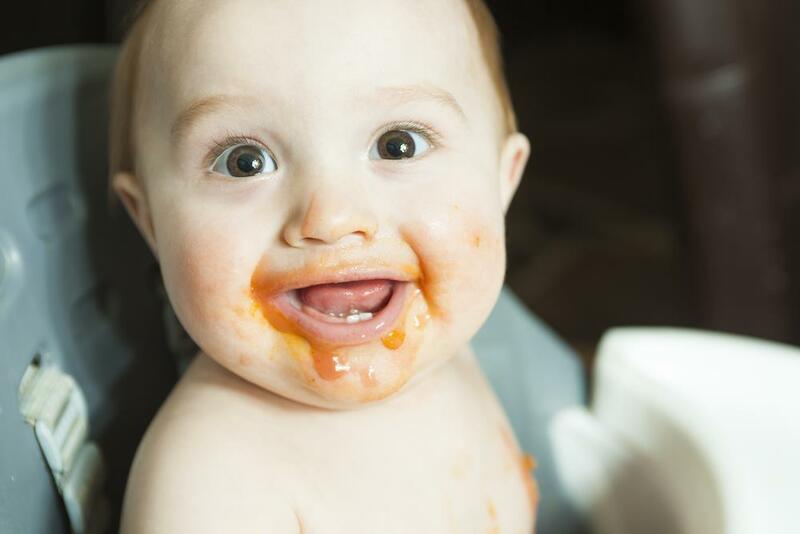 A baby is likely to eat less in case it is teething. So, it would be better not to force it to eat more at this stage. However, if you find it to eat excessively less and feel that it is losing out on the nutrition, consult a paediatrician regarding the matter. 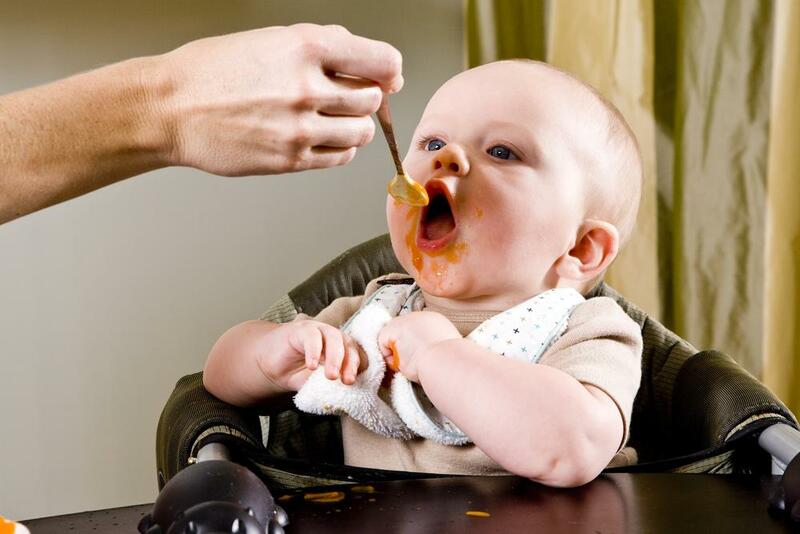 If you feed your baby with solid dices of food, it is likely to eat lesser than if you use a puree type of foods. So it is very natural for them to eat diced foods like egg and potato mash in lesser quantities than baked apples and oatmeal cereals. Some babies eat more when they are busy with drawings or games while the others eat less during this time. So, you need to identify the right time when your baby will be in a position to eat maximum quantities of food and feed him or her during that time. Many people believe in breastfeeding their babies at the same time when they are having solid foods. This will automatically reduce the amount of solid food that they are taking. It will be better to discuss with a child specialist or nutritionist in this regard to find out the ideal quantity of food that a baby, who is being nursed at the same time, should have. You may find your baby to eat a certain amount of food today and a lesser amount tomorrow. There is nothing to worry in this regard since children are likely to have varied appetites. Also, they have a moody nature which makes them to eat food in variable quantities. 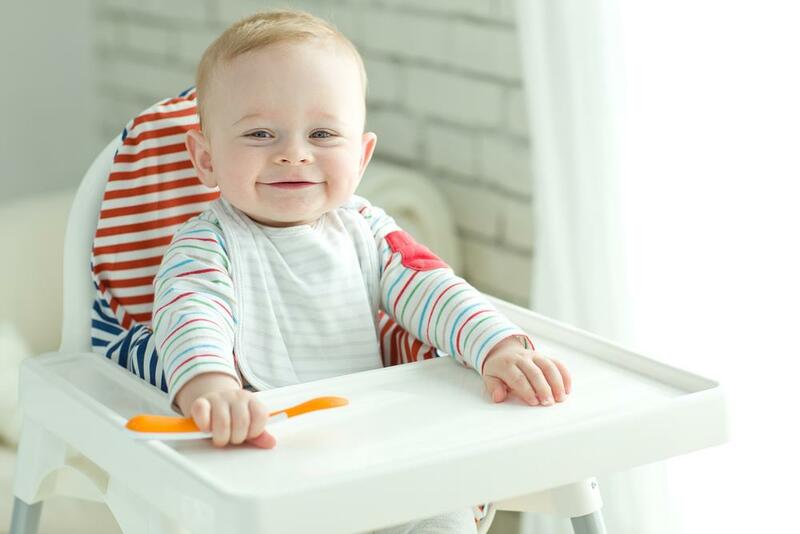 You must be aware of the different types of solid food that will be healthy for your baby to eat. Cereals, fruits, proteins and vegetables are a few examples of such food. It will also be fine to feed them with things like yoghurt and cheese. Now, some of these foods are high in calories such as barley, oats and other cereals. Some others like yoghurts and fruits contain lesser calories. The amount of food that you will be feeding also depends on the calorie content of the food under consideration. It will be fine to go for two to three meals for the 6-month old babies. If you are using the packed baby-meals available in the market, it will be the best to give him or her about two to four teaspoons of the meal each day. You may need to find a breast milk storage bag if you don’t have time for breastfeeding your baby. Pro Tips: You can use yoghurt or oatmeal as a dip for the fruits and vegetables that you serve your baby. This will nourish them in a better way as well as increase the quantity of food that they take. Remember, children love to play with food. So, as you must have understood by now, the amount of food that is fed to a baby depends on a number of factors and it should ideally depend on the appetite of the baby. You should never try to force your baby to eat more than it would like to. We would love it if you share your experience in feeding your baby in the comments section below!